When you think of Los Angeles you likely think of a booming city with palm-tree lined streets filled with endless entertainment. You’re probably associate the city with a high cost of living. In fact, the city is one of the nation’s most expensive to live in. The average home cost has soared about $600k. Considering renting instead of owning? Expect to pay around $1,949 a month for a one-bedroom apartment. No matter how you look at it, L.A. is a highly expensive city. 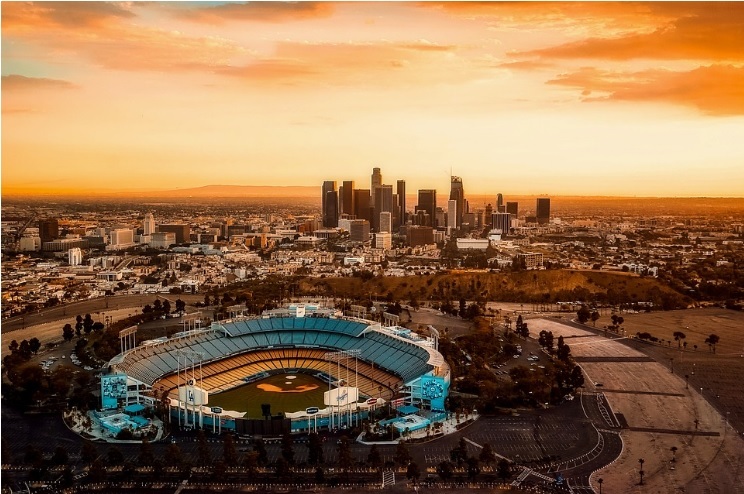 While you may have found ways to reduce monthly costs by bundling home services or taking the time to compare the best internet providers in Los Angeles, you can save even more money by living in a less popular area in the city. Continue read to learn about 5 little known L.A. neighborhoods that offer a much more affordable cost of living. For the best bargain in L.A., look no further than North Hills. Located deep in the Central Valley, you’ll love the amazingly cheap rent that this neighborhood offers. You can find a one bedroom apartment for as low as $700 a month! A two bedroom apartment ranges from $1400 to $1800. These costs are a total steal for living in Los Angeles. Of course, rent is cheap for a reason. North Hills is located 40 minutes away from downtown L.A. and about 17 miles from Santa Monica. However, if you’re working in or near the Valley, this community is an affordable and convenient location. It’s also worth noting that North Hills and other areas in The Valley tend to be 10-15 degrees hotter than the rest of Los Angeles. This could mean higher cooling costs during the warmer months, so be sure to keep that in mind. Have you dreamed of living near the ocean but can’t afford the high price tag? If so, San Pedro is the neighborhood for you. Located between Long Beach and the luxurious Palos Verdes, San Pedro is marked as a small dock neighborhood with homes that sit right on the water. The town is home to old fishing families and immigrants who have worked on the water for generations. You’ll love the ethnic food and the maritime view, as well as the distinct cultural blend of Los Angeles. Not only does the neighborhood offer breathtaking views along Paseo Del Mar, but it’s also highly affordable, especially when compared to most water-side communities in L.A. You can rent a one bedroom apartment in the area for $1,200-$1,500 a month. Rent for a two-bedroom goes for around $1,700. South Pasadena, a widely undiscovered L.A. neighborhood, is found in the center of the east side right off of the 110 highway. It’s just a 15-minute commute to downtown L.A. Even better, the neighborhood is right next to hot spots like Eagle Rock and Highland Park. Located relatively close to Pasadena, South Pasadena offers similar shopping and dining options of those found in Old Town Pasadena. In the area, you’ll mostly find apartments, so if you’re looking to buy, check out another area on the list. The average rent for a two bedroom apartment averages about $2,400 a month. This is about a $300 savings from the average 2-bedroom rent in the city. In South Pasadena, you can check out a movie for just $3.50 at The Academy. You can also spend time at the Griffith Observatory or the Norton Simon Museum. Alhambra Park and the Storrier Stearns Japanese Garden are also close by. No matter if you’re a buyer or renter, South Los Angeles is sure to be one of the most affordable cities in L.A. The smaller eastern region of South L.A. offers rent as low as $1,100 for a one bedroom apartment. A two bedroom apartment averages around $1,900 a month. Though the area only offers around 16 square miles, if you can find the right apartment or condo, you can live close to the city without draining your bank account. There’s nothing more convenient than being located in central L.A. But, the cost of living in the area is undoubtedly unaffordable for most residents. The good news is that neighborhoods like Palms exist to make life in central L.A. much more affordable. Recently named as “the poor man’s Culver City,” Palms offers all of the convenience and entertainment that you’d expect without the high cost of living. Enjoy a one bedroom apartment for around $1,700 a month. Two bedrooms tend to be a bit pricier, ranging from $2,500 to $3,000. While Palms is definitely not the cheapest city in L.A., it’s a steal when compared to the astronomically high rents of Culver City, which is right next door. In Culver City, you’ll pay $2,000 a month for a studio! Living in and around L.A. doesn’t have to break the bank. Find your perfect home in these 5 cities and enjoy all of what Los Angeles has to offer.